Brazilian legend channels his inner Al Pacino. Orlando City midfielder Kaka led his troops out for the club’s first ever game this weekend against fellow MLS expansion side New York City FC and delivered a rousing speech before leaving the dressing room. The Brazilian lined up against former Spanish international David Villa, and both are expected to take the American top flight by storm this year. 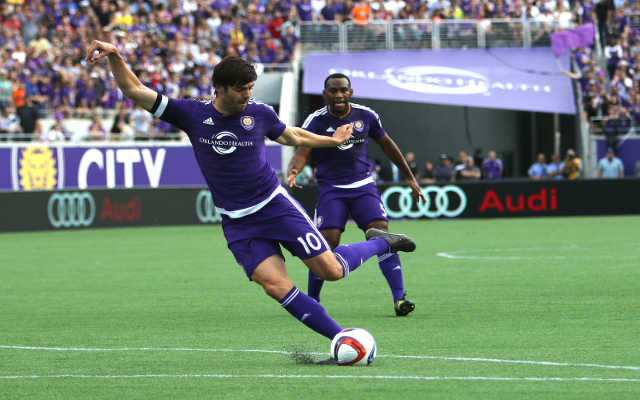 The game ended 1-1, with Kaka notching a late goal via a heavily deflected free kick. But before the game, he had obviously been watching Al Pacino’s performance in Any Given Sunday as he gave a short but passionate call to arms.